**New** This Video was produced to assist and enhance this tutorial Click Here. 3. Name your Virtual Switch and press Ok.
2. Give your Machine a name and a save location. 5. 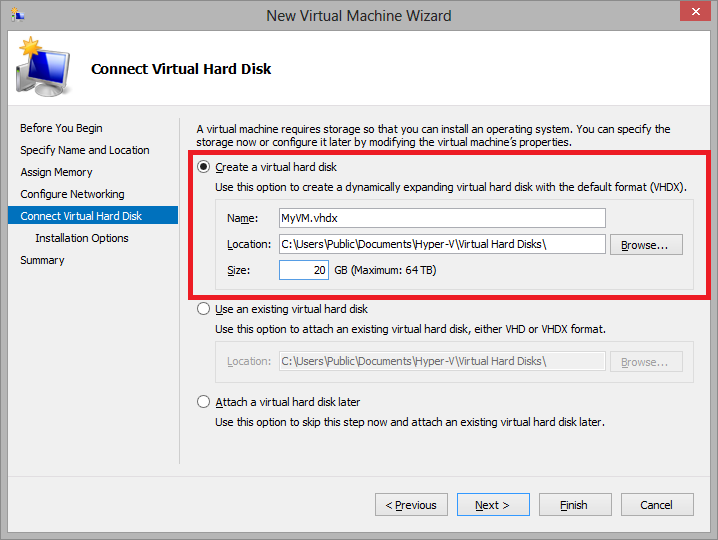 Create a new Virtual Hard Drive that is 20GB in size if you are doing the Core install and 30GB in size for the Full install. Make sure you change the default location if you want it to be stored elsewhere. By default a Dynamically expanding disk will be created, so the space will only increase as it is used up. 8. 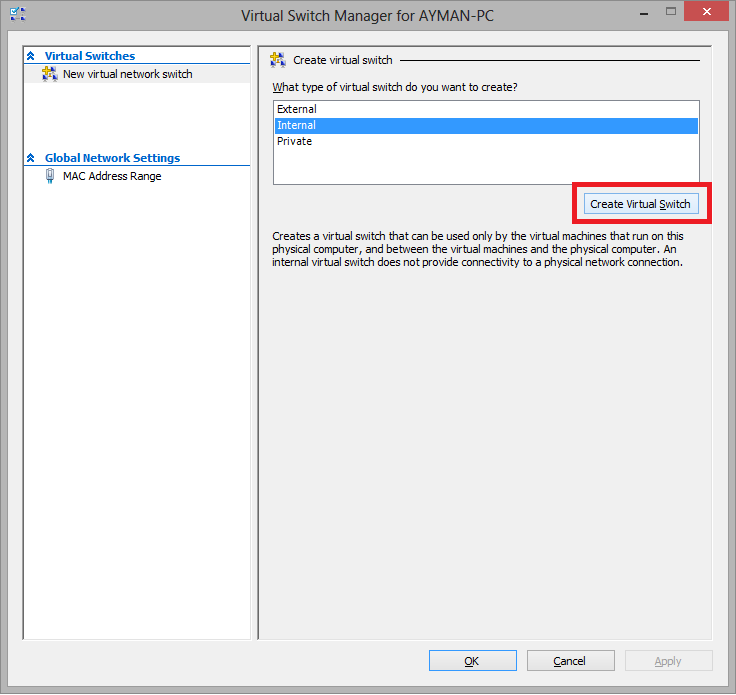 Double click your VM to connect and then click the Green Start button to start it up. 1. Once the VM boots up it should go to the Windows Installation. This should be easy to follow, but make sure you select a Full Installation. 3. 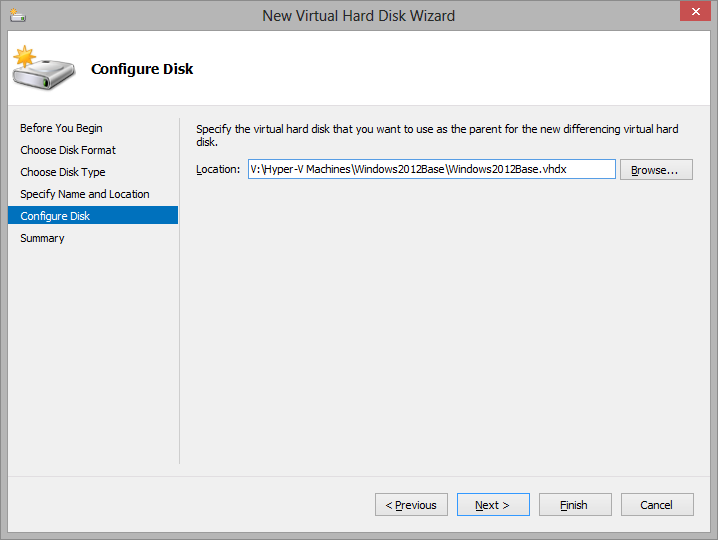 We’re going to use this installation as a Base for our other Windows 2012 Full Installations using a great Hyper-V feature called Differencing Disks. 4. 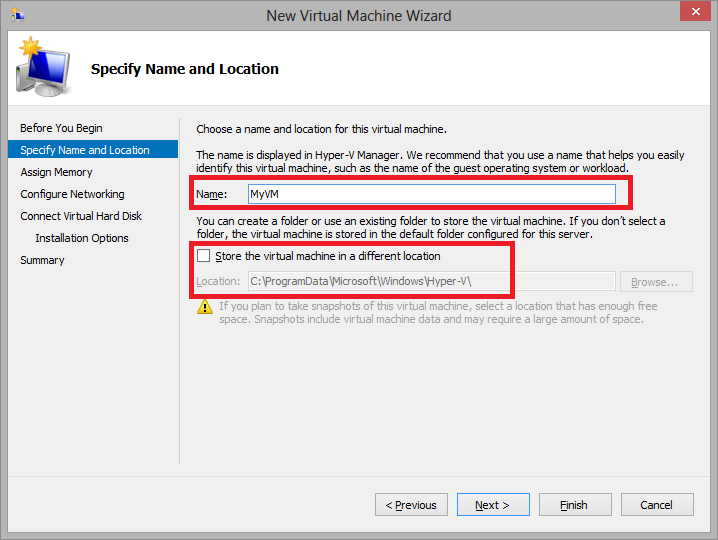 In Hyper-V Manager right click on that new VM you just created and press Delete. YES PRESS DELETE!! 5. OK remember where you stored the Virtual HD you created for the VM? Great… because it has not been deleted and we will use it to create our SQL Machine. 5. 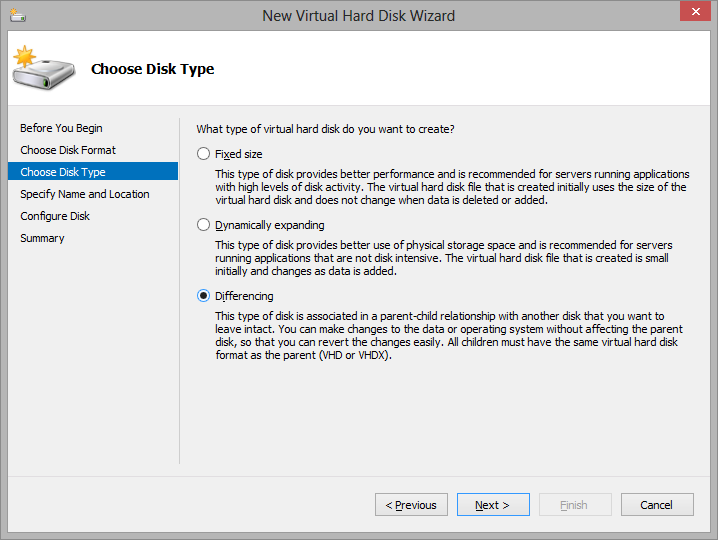 On the next screen specify the parent… the Virtual Hard Drive we created for the Base Windows 2012 Full Installation in Part D. For example my Base Windows 2012 Installation is under V:\Hyper-V Machines\Windows2012Base. 7. 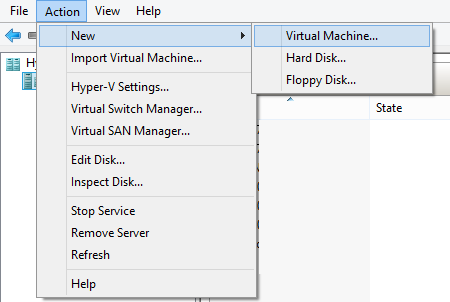 Name your VM and select the save location (preferably where you put that Differencing Disk or wherever you want just don’t blame me if you are disorganized). I named my VM SQL2012NodeA since I’m going to make it the first node when I start clustering. 8. Select 2048MB for Memory and select your Virtual Switch in the networking section as you did the when you created your first VM. 9. Now for your Hard Disk, select the Differencing Disk that you just created. Click Next and Finish. 10. 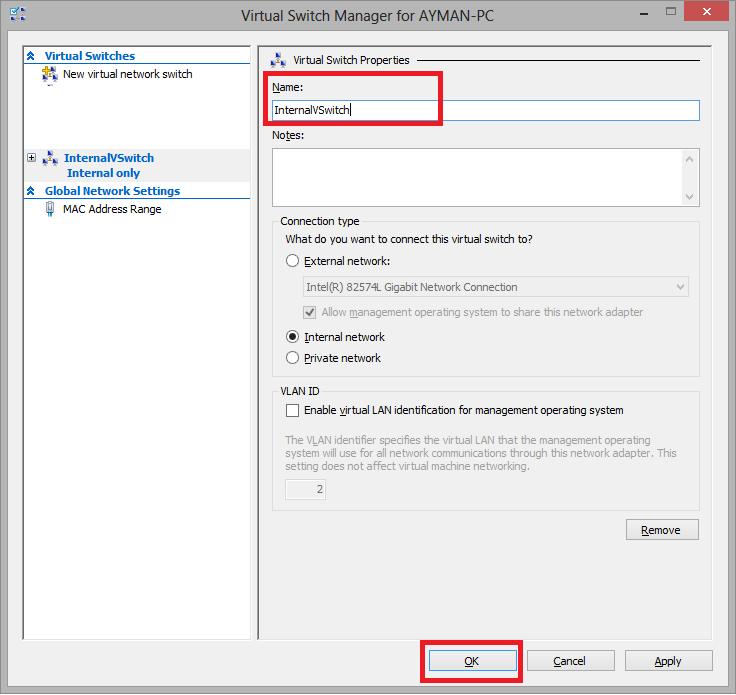 In Hyper-V Manager, right click your latest VM and click on Settings. Click on Hard Drive under IDE Controller 0, then on Inspect, and on the first pop- up click Inspect Parent. Just verify the settings so everything is alright. 11. 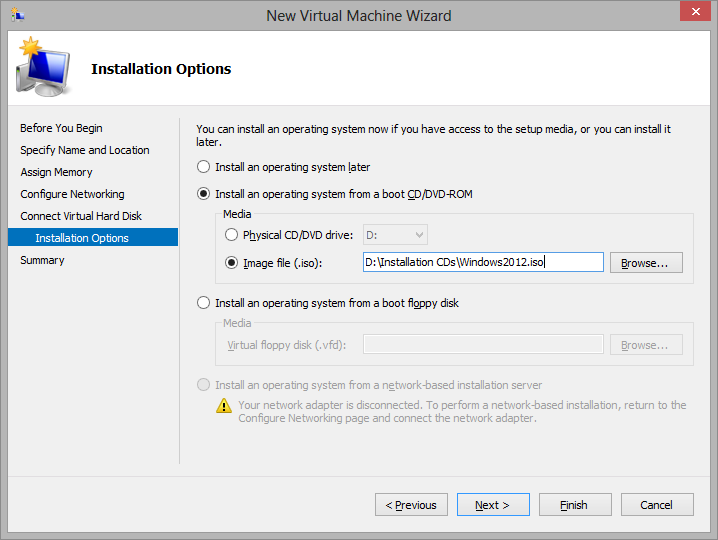 Start up the virtual machine and verify that everything works. 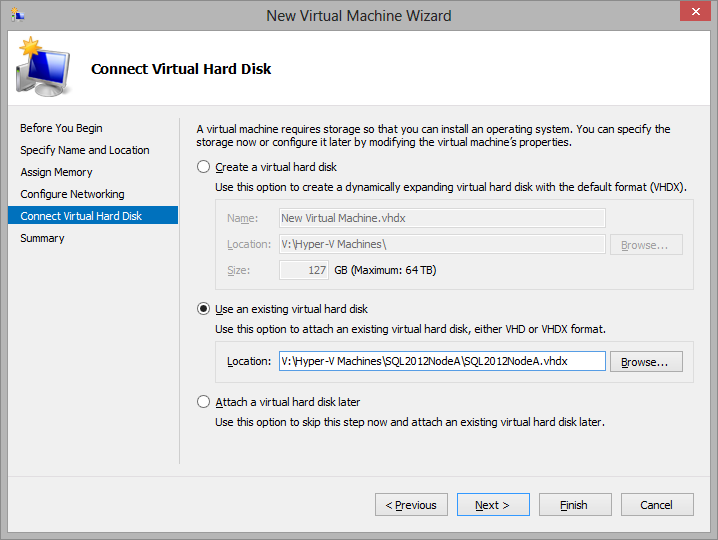 The Base Virtual Hard Drive should cease growth, and your new Differencing drive should start to grow when you install SQL Server. Nice technology right? 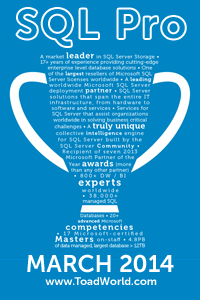 Well, we’re going to add another SQL Server VM using the same base! Yep, you can add more servers to the same Base drive, it remains intact so you an have multiple environments using one installation.